Home / Donations / Walk for a Dog! Don’t just take your dog for a walk… Take your Walk for a Dog! 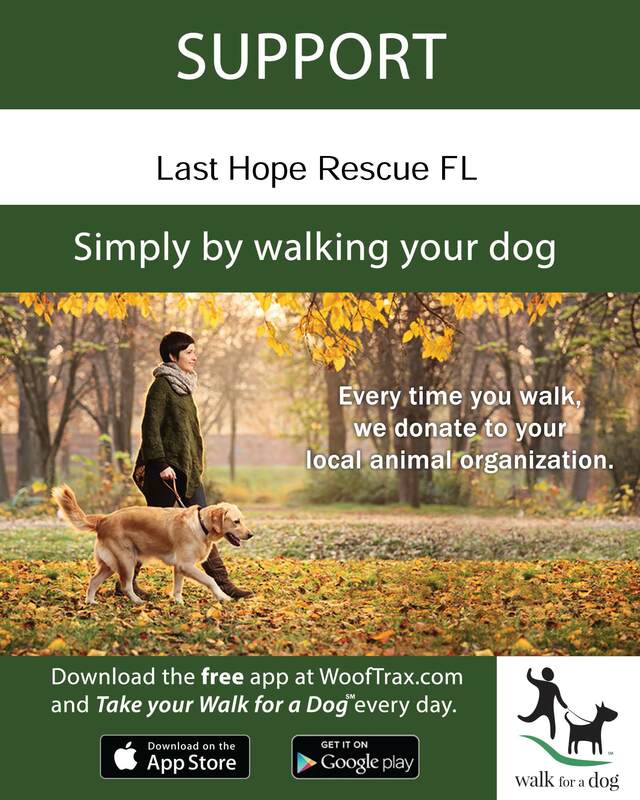 Go to WoofTrax.com, download the app “Walk for a Dog”, and support Last Hope every time you take a walk!! It’s free, easy to use and a great way to help our pups! The more people who use the app, the more they donate to the rescue. It’s that simple!